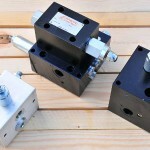 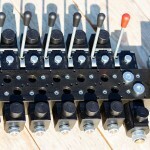 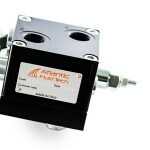 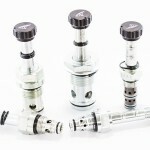 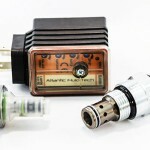 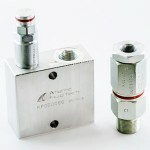 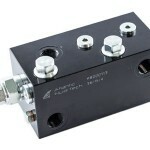 Atlantic Fluid Tech during the last three years has developed a new range of innovative cartridge solenoid valves that are able to work with pressures of up to 500 bar and in conjunction with this valves that function efficiently under a loss of pressure, not previously available on the market. 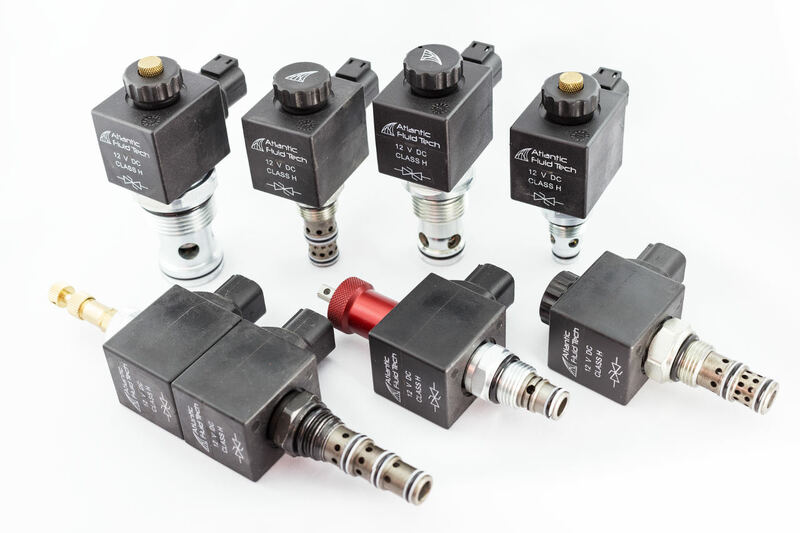 These new capabilities have been attained using new technology, patented worldwide by ATLANTIC FLUID TECH, allowing the creation of a new line of products which are extremely compact, robust and durable. 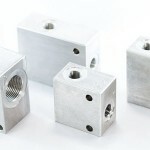 Our internal components are manufactured to very high specifications with termically treated steel which guarantees this long life. 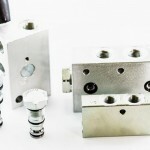 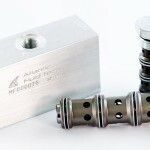 All internal finishing is optimized to obtain the shortest possible response time. 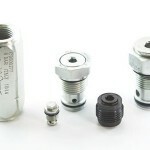 External surfaces are zinc plated providing each valve with a layer of corrosion protection of up to 1000 hours in salt spray based on ISO 15726:2009. 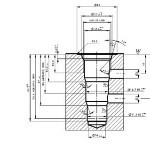 Our valves are available in SAE cavities and also in special cavities, with a range from 1,5 to 500 lpm, with a maximum working pressure up to 350 bar in the standard version or up to 500 bar in the high pressure version. 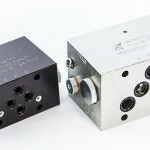 Our Coils are available with various connetions types, DIN 43650, Deutsch DT04, Amp Junior or with cables, with tensions from 12V to 230V. 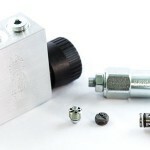 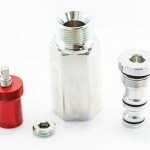 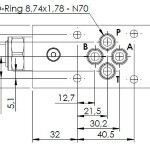 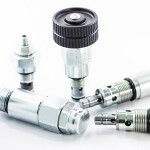 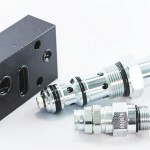 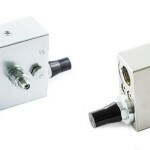 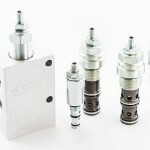 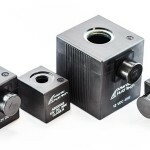 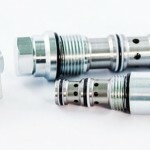 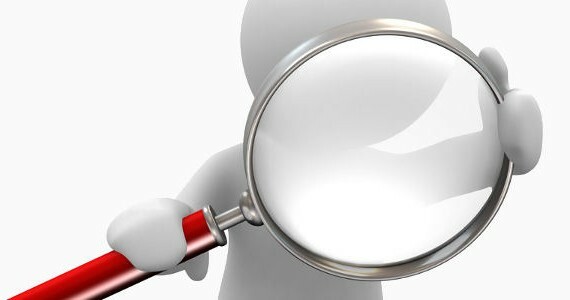 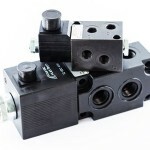 A complete detailed document is available in our on line catalogue setion “On Off Solenoid cartridge valves” and can also be found in our on line catalogue section “Coils and Connectors”. 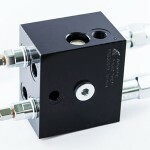 For any further information you can contact our Sales Network.